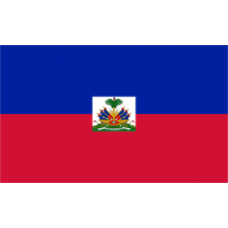 Haiti is an island nation in the Caribbean, and occupies the western portion of Hispaniola, sharing the island with its neighbor the Dominican Republic. Originally colonized by Europeans when Columbus landed there, Haiti gained its independence in 1804, becoming the first independent nation in Latin America and the world’s only country that was formed by a successful slave revolt. .HT is the country code, domain extension, for Haiti. If you want to gain a greater audience or clientele base in Haiti or those from Haitian descent, registering .HT extensions for your website is a good idea. It will help the Haitian people know that you are as proud of their culture as they are. The .ADULT.HT domain extension is intended for adult content websites. Info: You will be sent an email and must click on the link to confirm before domain will be activated for use. Description:Haitians are proud of their land and culture; their sense of nationalism is greater than most cultures, so, if you register .HT domain ext.. Description:Haitians are proud of their land and culture; their sense of nationalism is greater than most cultures, so, if you register .NET.HT domain..